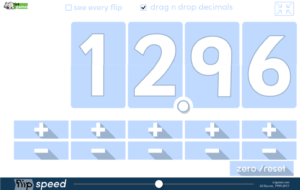 To count forwards and backwards in steps of 1, 10, 100, 1000 and 10,000 (age 5-10). To say the number that is 10 more/less than any 2-digit number less than 100 (age 7). 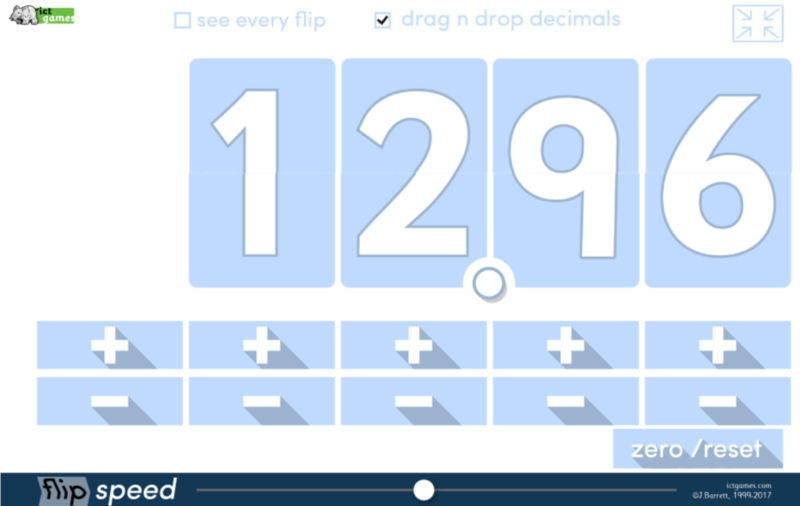 To count forwards and backwards in tenths, hundredths and thousandths (age 9-10). Click to show decimal point then drag to desired location.